Our featured delegate this week is Ankit Arora, originally from India. He first attended the World Business Dialogue in 2011. Ankit holds a Masters in Economics and a Bachelors in Engineering. He is an early stage technology VC and comes with an experience of having worked across VC funds like Accel and Unilazer. What is your favourite anecdote, that happened during the WBD? I participated in the 14th edition of the World Business Dialogue in 2011 when I was doing my masters. I had heard about the fantastic experience an alumni had at WBD the previous year, which motivated me to apply. This was my first time at a student funded conference of this magnitude. It was a very humbling experience to interact with and learn from global peers. The speakers were phenomenal and I had a great time brainstorming ideas with them. Yes – the friendships and networks that you forge during the time is the best part of WBD. I have engaged with some in a professional capacity to explore synergies between the organisations we represented. With others I have met during my vacations and spontaneous reunions across the globe. In fact, I recently bumped into a fellow WBDer from Macedonia at a conference in Singapore! Absolutely – in fact, I first got my break into Venture Capital because of a connection I made during the conference. The network has been of immense value when it comes to accessing insights about any particular region or industry. I look forward to giving back and staying associated with WBD in the capacity of a speaker/alumni. I am an early stage VC investor with expertise investing in high growth consumer tech startups in emerging markets – India, SEA and MENA region. In my most recent stint, I worked as part of the investment team at Accel, a global VC fund with $10Bn+ AUM. As part of my role at Accel, I participated on the boards of half a dozen startups and supported them on various management, strategy and funding issues. Previously I worked at Unilazer Ventures, an India focussed PE and VC firm specialising in early and late-stage investments. I am currently working in stealth mode on my next professional venture. I also work with a few startups and NGOs in the capacity of an independent advisor. What advice would you give to students who think about applying for the WBD? Go with an open mindset. Network, network and then network some more. 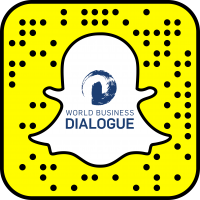 WBD is a great platform to interact, share ideas and views with people from diverse backgrounds and experiences. It will further your learning about global perspectives and business practices. International exposure of this magnitude would definitely help you achieve higher impact in your professional and social life. The international friendships/networks that you forge here will surely throw many opportunities your way to collaborate in the future. Ankit is an early stage technology investor with experience investing in emerging markets. In his most recent stint, he worked as part of the investment team at Accel Partners, where he led the firm’s consumer tech investments. Some of the investments that he led & participated on the board include Swiggy, HolidayME, Bicycle.AI and Agrostar among others. 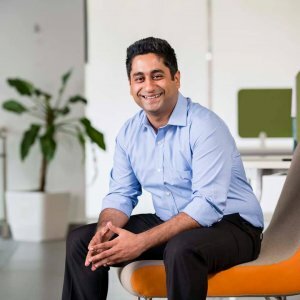 He sourced and led Accel’s early investment in Swiggy, India’s largest on-demand food delivery platform and the fastest Indian company to attain Unicorn valuation status. Prior to this, he worked as part of the investment team at Unilazer Ventures, where he was involved in investments in Zivame, Lenskart, Maroosh and Dogspot among others.